Valparaiso University announces that Susan R. Holman ’79, Ph.D., ’16H, will join its faculty as the John R. Eckrich Professor and Chair in Religion and the Healing Arts, effective Jan. 2, 2019. Professor Holman is an historian, academic writer, editor, and mentor, and she is equipped with a unique and varied background and a vast list of accomplishments. Professor Holman has held positions at Harvard University since 2007, focusing on medical and public health writing and editing. She currently serves as senior writer at the Global Health Education and Learning Incubator at Harvard. 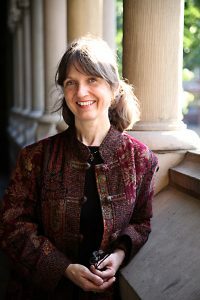 Since 1998, Professor Holman has also worked as an independent researcher in religion, with a focus on cross-disciplinary synergies that connect early Christian narratives on illness, poverty, and ethics with their contemporary relevance to faith communities and health justice. The John R. Eckrich Chair, a University professorship established in 1989 through a grant from the Lutheran Foundation of St. Louis, supports the study of the interrelationship of faith, ethics and health. More specifically, the Eckrich Chair investigates and reflects upon the message of the Lutheran Confessions as they relate to religion and the healing arts. In her role as a University chair, Professor Holman will teach courses that combine insights from various disciplines as they relate to faith and health. She will work closely with programs, departments, and colleges across the University. Professor Holman will also develop and implement programs to inform the campus community about ethical issues related to human wellness and engage both the University community and larger communities of church and society in reflection upon these issues. Professor Holman, the third occupant of the Eckrich Chair, will continue the work of Christoffer H. Grundmann, Ph.D., who was inducted as the Eckrich Chair in 2001 and served in the position until his retirement in 2016. As a master’s student at Tufts University, Professor Holman developed an ardent interest in public health, leading to several years of service in urban Boston as a clinical and public health nutrition educator, with a focus on maternal-child health. Her work in clinical nutrition led to an astute awareness of the power of religion in shaping cultural health choices. Professor Holman has co-authored or co-edited numerous articles, book chapters, case studies, translations, and international white papers and reports in public health, as well as six academic books. She authored “The Hungry are Dying: Beggars and Bishops in Roman Cappadocia,” “God Knows There’s Need: Christian Responses to Poverty,” and most recently, “Beholden: Religion, Global Health, and Human Rights,” for which she was honored with the 2016 Grawemeyer Award in Religion. Throughout the past 20 years, Professor Holman has served as an invited conference speaker and guest lecturer across the nation and around the world, most recently speaking at the International Meeting of the Society of Biblical Literature in Berlin, Germany, and at the Symposium on Women in Leadership and Ministry at City Seminary in New York. Professor Holman holds a bachelor of arts in psychology and a bachelor of science in nutrition from Valparaiso University; a master of science in nutrition from Tufts University School of Nutrition Science and Policy; a master of theological studies from Harvard Divinity School; and a doctorate in religious studies from Brown University. Most recently, Professor Holman received an honorary doctorate in humanities from Valparaiso University.